Ever have small pieces of fabric that aren’t big enough to make what you want, but you can’t bear to throw away? 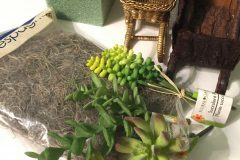 There are lots of projects that make use of scraps to make little things, but you can also use scraps to make larger things! How? By sewing scraps together patchwork-style to create a new, larger piece of fabric. 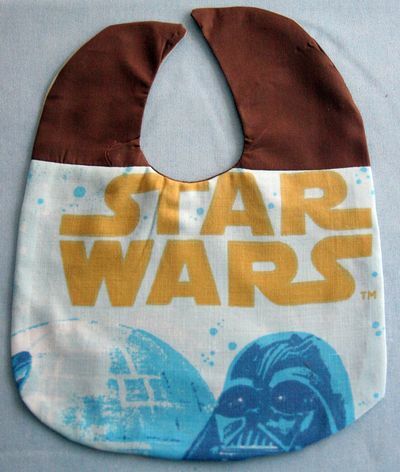 This is the second installment in my Star Wars crafts series! 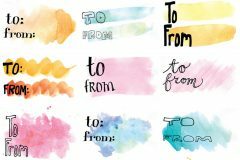 I recently made a few Star Wars-y items for a craft swap, and I was WISHING for a Star Wars sheet (in fact, I asked if they had any in stock at my favorite craft thrift store – yes, there is such a thing! If you’re ever in Portland, OR, you MUST visit Knittn Kitten), but I know that you never find something like that at thrift stores when you really NEED it. And then I was rummaging around in my garage and FOUND ONE!! 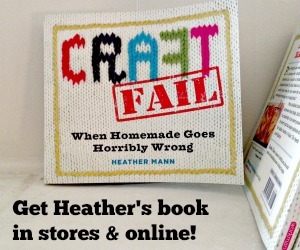 I had one in my stash of scrap fabric dedicated to making Morsbags (reusable grocery bags). I had no idea it was in there, but I was so excited when it surfaced! 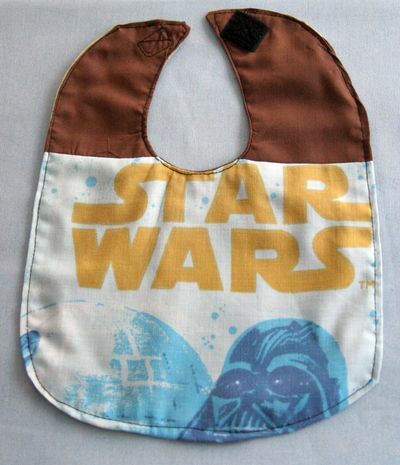 So, in order to squeeze every precious drop of Star Wars goodness from the sheet, I used a scrap of it that I had off-cut when making another project to make a scrappy bib. 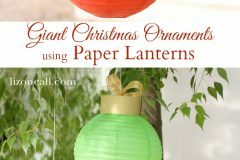 This is a very simple project that you can use up all your lovely scraps on! 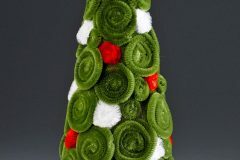 You can also use this technique to make nearly anything else you can think of! The process is simple: sew scraps together in a sheet until you get a piece of fabric large enough to cut your pattern pieces out of. 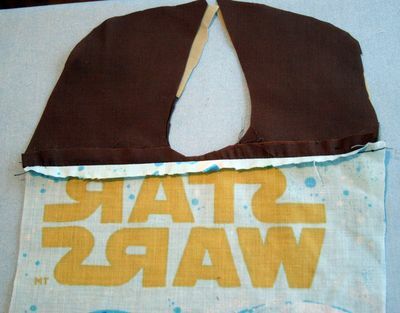 For the bib, I sewed two Jedi robe-colored fabric scraps together for the back, and a piece of the sheet and a brown scrap for the front. Place your pattern piece (in my case, I used a bib we had on hand) on top of the patchwork sheet and cut out. I left a half-inch seam allowance around mine. 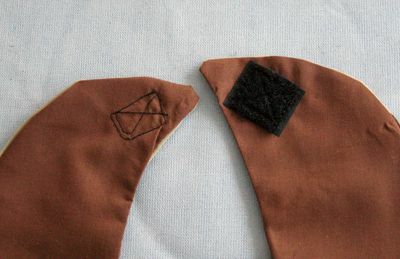 Pin pieces right sides together and sew around, leaving a two-inch gap on one of the straight sides for turning. Turn bib right-side out. Press edges (make sure open gap is folded under neatly like the rest of the edges), and topstitch around edges, sealing the open gap closed. Add squares of Velcro-type hook and loop tape to top of bib. You’re done! You’ve made a reversible scrappy bib, and it only took you about 20 minutes! 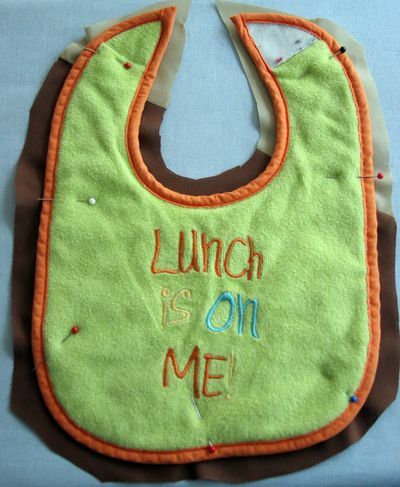 I did a similar bib project on FrugalSewing.com. I like the idea of using a sheet piece like you did yours! I just LOVE that sheet and everything you made with it! 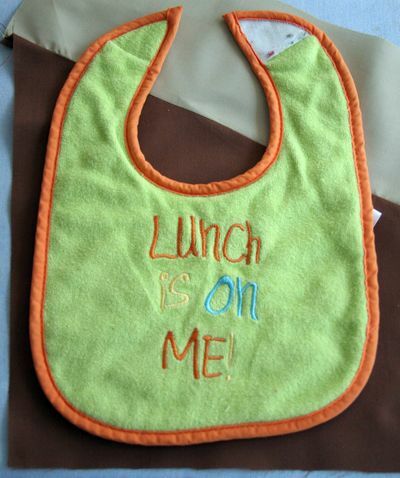 Love the bib project too, so easy and adorable! I’ll be linking. Last time I was in Portland I must have gone to three thrift stores a day for a week and still didn’t feel like I made a dent. You guys are so lucky!